So I met Pawel and Nicole when I was last in Iceland! 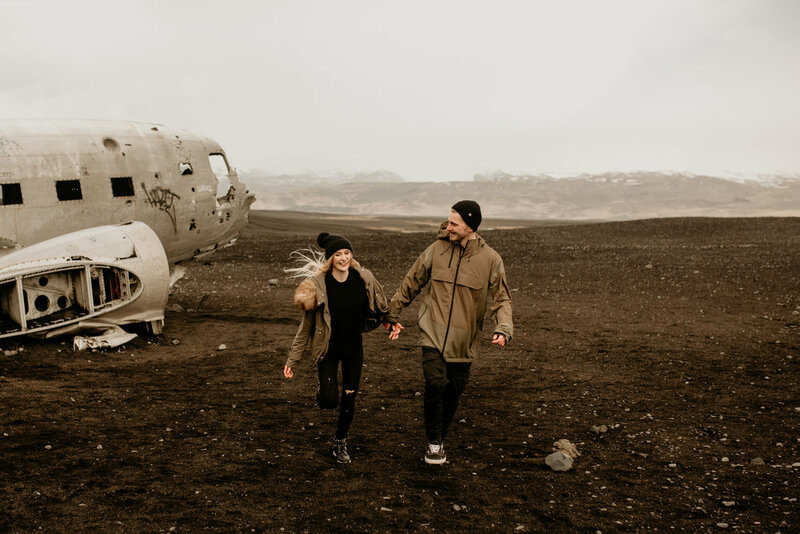 Iceland is amazing, and I was so excited to hang out and explore a new place with them! Pawel and Nicole met and are from Poland! It's so cool that we were able to hang out here in iceland because we were all here for work! Niccole has only been in Iceland or a month, and already says she misses Poland (or more, the sun) but that Iceland is something else! 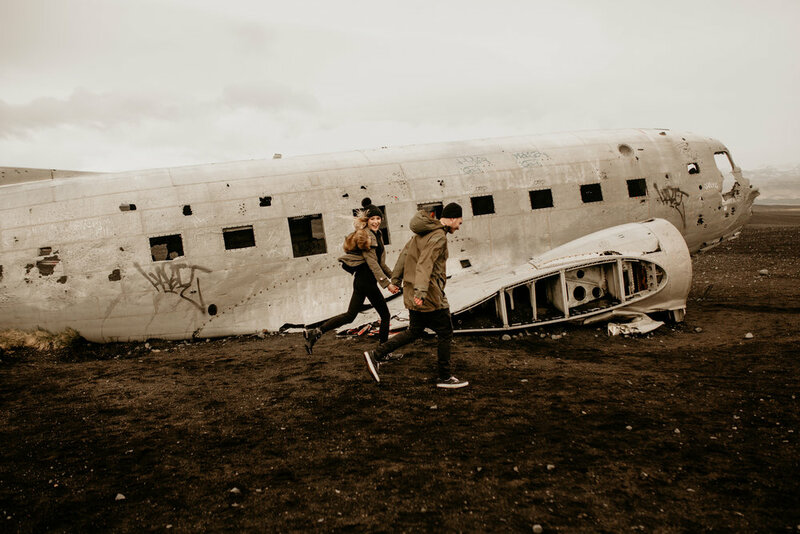 They wanted to shoot at this place, Sólheimasandur, the iconic plane crash because this was one of the first hikes they did together in Iceland, so it is special to them and I was so excited to see it! This adorable couple met one night way back in high school, at the town where they're both from. (I write that because I definitely can't spell the name of it) Niccole was invited her to come out and watch a band with her friend. She agreed, and when she showed up at the venue, she saw the most handsome boy she'd ever seen! Pawel of course. He was in the band that was performing! She couldn't look away from him the whole night, and afterwards HAD to talk to him! They immediately clicked, and they started hanging out shortly after! And began dating not long after that! They are so adorable and perfect together. Pawel always making Niccole laugh, and he is so cute and protective of her! 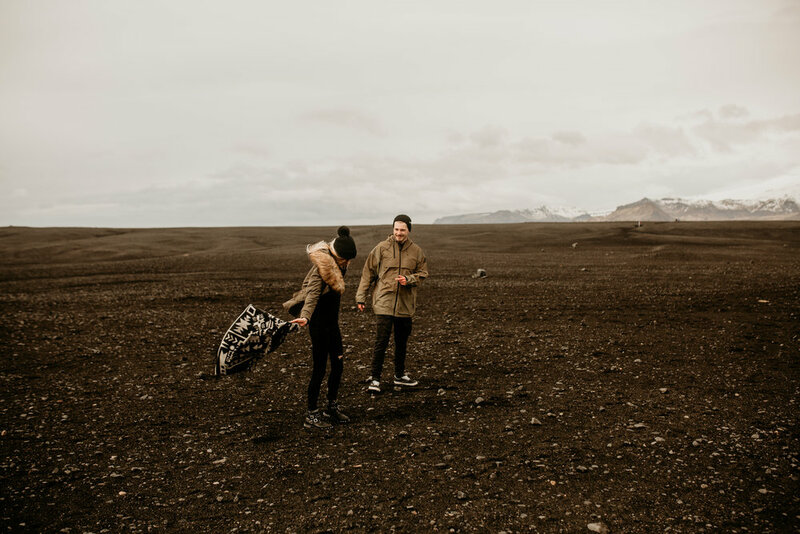 We had such a great time exploring Sólheimasandur, (I remember it by the phrase "(I) sold him a sander"...), and even the freezing wind and rain couldn't keep us from having a good time! Its over a 5 mile hike to and from the plane, but these guys were such troopers and never complained!